Dettmer U, Kuhn PH, Abou-Ajram C, et al. 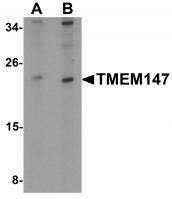 : Transmembrane protein 147 (TMEM147) is a novel component of the Nicalin-NOMO protein complex. J. Biol. Chem. 2010; 285:26174-81. 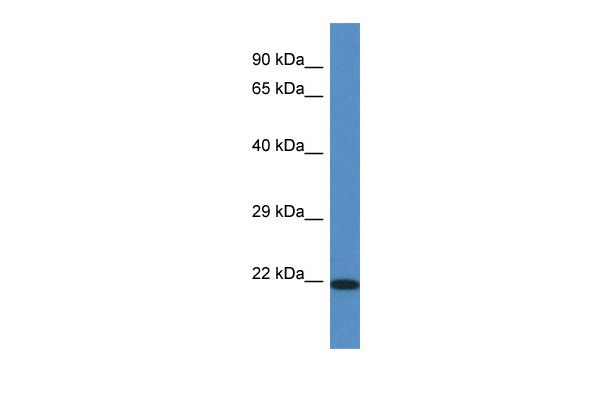 Sample (30 ug of whole cell lysate). . A: NIH-3T3. . 12% SDS PAGE. . Transmembrane protein 147 antibody. . TA308988 diluted at 1:1000. 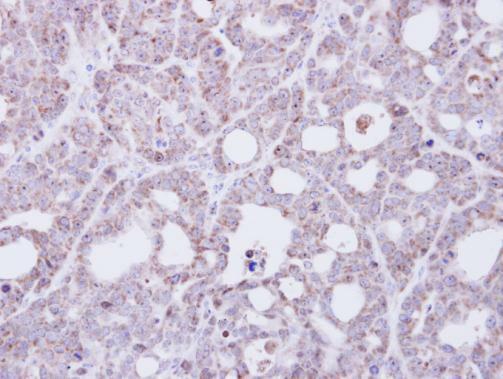 Immunohistochemical analysis of paraffin-embedded NCI-N87 xenograft, using Transmembrane protein 147(TA308988) antibody at 1:500 dilution. 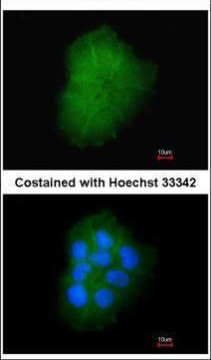 Immunofluorescence analysis of paraformaldehyde-fixed A431, using Transmembrane protein 147(TA308988) antibody at 1:200 dilution. 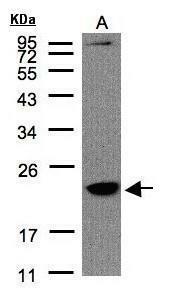 Western blot analysis of TMEM147 in Daudi cell lysate with TMEM147 antibody at (A) 1 and (B) 2 ug/mL.